Previously in this series of articles looking at remuneration planning for SME owners I explained that once minimum pension age has been reached there are greater opportunities in setting the dividend/bonus/pension mix. In relation to that I looked at using pension commencement lumps sums but commented it was also possible to take advantage of the so-called small pots rule. As the non-taxable element of the lump sum payment is not classified as a PCLS, the recycling rules are not an issue. The commutation does not count as a form of flexible access, so the £10,000 money purchase annual allowance is also irrelevant. A small pots commutation is not a benefit crystallisation event, so there is no testing against the individual’s lifetime allowance, but there are points concerning eligibility. The employer pension contribution would effectively increase the individual’s total pension benefits by a net £3,734, including a rise in their PCLS entitlement of £933. The process can be repeated each year or the amount increased, provided further small pots are available. In theory, it could be combined with the PCLS route to divert £14,500 of net income into pension contribution of £28,450 (see table). One point to watch is that the small pots payment is genuinely a small pots payment. 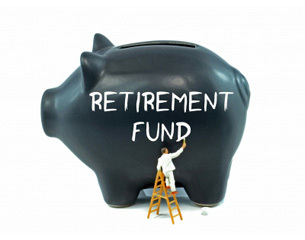 Some providers may say small pots but then use an uncrystallised funds pension lump sum. While the net lump sum will be the same, the UFPLS will trigger the money purchase annual allowance. To conclude this series of articles I feel compelled to remind you (forgive the patronising tone) of the fundamental importance of the change to dividend taxation now enacted in the Finance Bill 2016. Yes, Royal Assent has finally been given. Factoring the change into portfolio planning beyond Isas and pensions should be hard wired into the process by now. It can have a profound effect on whether or not it can pay to wrap a portfolio in an investment bond wrapper – UK or offshore. At a 3.5 per cent yield you need a portfolio of around £150,000 (over and above your Isa) before it can make any sense to consider the bond on tax grounds in relation to the dividend tax planning. And for SME owner-managers, while generally the benefits of withdrawing funds by way of dividends rather than salary remains, the benefit has just been reduced. The pension also has a role to play, as it always has, for those that still have capacity to make (or have made for them) contributions. Provided you are happy with the deferred nature of the remuneration you will receive, a direct employer contribution to a pension is hard to beat measured by its net benefit. Finally, as I have explored over the past couple of weeks, given the (still) relatively new pensions freedoms and subject to a number of important conditions, it may be possible for a pension fund to be part of “current remuneration” planning. Whatever route or combination of routes is adopted, advice will be absolutely essential.